As powerful as today’s traditional supercomputers are, they still struggle greatly with modeling chemical systems. For example, chemists still don’t fully understand exactly how bacteria produce fertilizer at room temperature. Considering the fact that fertilizer production is inefficient and consumes as much as two percent of the world’s energy each year, solving its mysteries could save billions of dollars. Now, researchers from Harvard, Lawrence Berkeley National Labs, UC Santa Barbara, Tufts University and University College London are one step closer to being able to solve that and other difficult models after having successfully performed the first completely scalable quantum simulation of a molecule using a quantum computer. As explained in this Google Research Blog post, the team sought to predict chemical reaction rates which must be done with extremely high precision. To do that, they must first be able to compute the lowest energy state of electrons in the presence of a given nuclear configuration. Without going too deep into the scientific details, just know that the ability to do so could revolutionize the design of solar cells, industrial catalysts, flexible electronics, batteries, medicines and more. What makes this process so difficult is the fact that molecular systems form highly entangled quantum superposition states that require exponentially many classical computing resources to calculate. For example, computing the energies of methane takes about one second but the same calculation takes about ten minutes for ethane and roughly 10 days for propane. 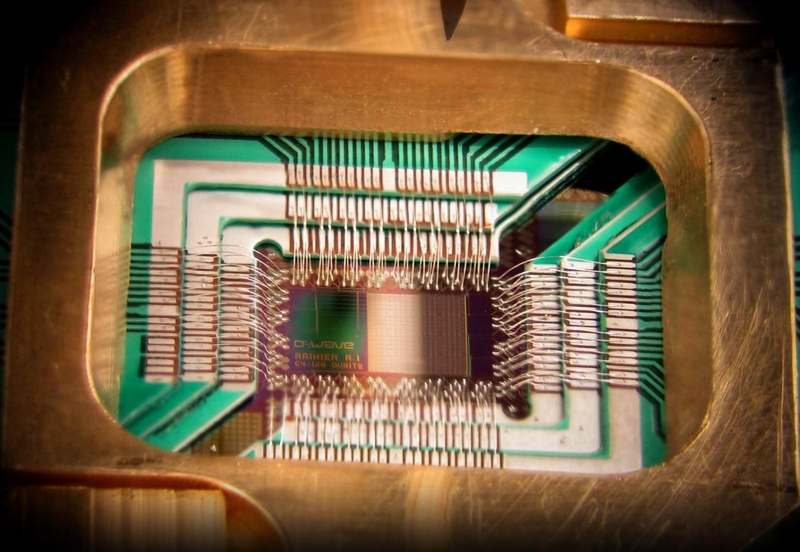 Using an approach called the variational quantum eigensolver (VQE), the team quantum computed the energy landscape of hydrogen. They compared it with another quantum algorithm, the phase estimation algorithm (PEA), and the exact energy curve as shown in the graph above. As you can see, it was incredibly accurate and inspires hope that the VQE technique may be able to solve classically intractable problems like the production of fertilizer mentioned earlier. Those interested in learning more can check out their paper on the subject, Scalable Quantum Simulation of Molecular Energies.